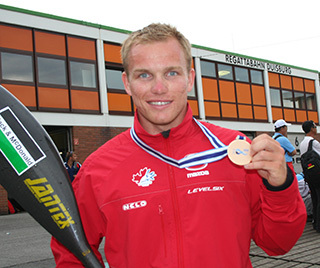 My favorite sports memory was when I got the call that I made my first Junior World Championships in 2005. I remember the phone call like it was yesterday! With all the pressures of being an amateur athlete, it’s an awesome feeling to know CAN FUND is there to support me in my pursuit to the London 2012 Olympic Games. I have a secret addiction to SIM CITY. I used to play the bagpipes.